Enjoy a gourmet lunch catered by the talented Deer Valley chefs while Deer Valley Host Michael O’Malley explores one of the few mining era buildings remaining at Deer Valley®. We’ll hike from Silver Lake to many of the area’s once-productive mines before meeting contractor Clark Martinez at the historic Little Bell ore bin on Bandana ski run. Clark will explain the extensive stabilization efforts needed to preserve this substantial wood structure. Reservations are required. All proceeds benefit the Little Bell ore bin stabilization efforts, a partnership project of Deer Valley Resort® and Friends of Ski Mountain Mining History, a committee of the Park City Museum. Silver mines once dotted the mountains surrounding Park City and a labyrinth of mine tunnels extend more than 1,000 miles under Park City’s trails. 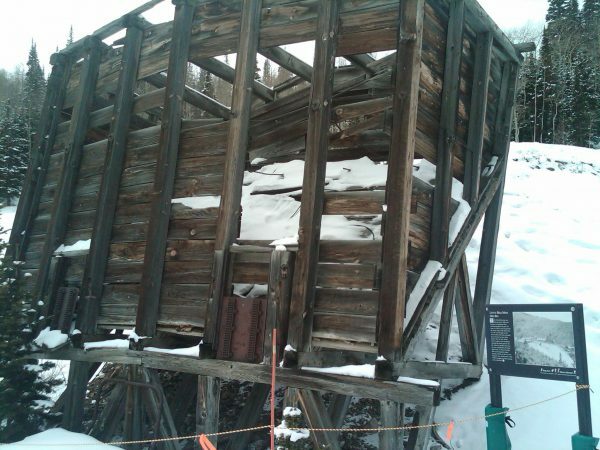 Friends of Ski Mountain Mining History seek to stabilize and preserve the legacy of Park City’s historic mining structures for future residents and visitors alike. To purchase tickets online, fill out the form below and submit through PayPal (no account required).